Some of the most interesting insights I have discovered about psychics and psychic mediums come from observing their family life and interviewing their family members. To me, the knowledge I have learned from these family members helps to shed light on the human side of these psychics and psychic mediums. Looking at the family relationships teaches us that psychics and psychic mediums are human beings, not infallible enlightened beings. Nobody knows the human side of these gifted souls better than a psychic's or psychic medium’s own family members. These are the people who spend day in and day out with these individuals. They see them worry and wrestle with the same issues with which the rest of us struggle. They see what they look like first thing in the morning and late into the evening, not just on stage or in the office. 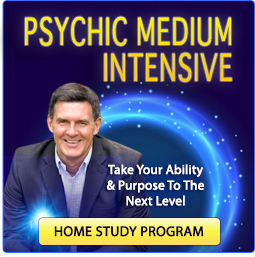 Family members see these psychic mediums from a perspective most of us will never experience. The next two chapters of this book result from my interviews and friendships with Vicki’s husband, Bret, and their four children, Ryan, Josh, Adam and Amelia. I will focus this chapter on Bret, and move to their children in the next chapter. Bret is Vicki’s husband of more than one-and-a-half decades. Reaching his forties, Bret might have to exercise twice as hard for the same results, but when he enters a room, women know he’s there. Despite his six-foot two-inch quarterback frame, Bret has the gentle presence of an observer. He is easy to meet, yet difficult to know. His sentences are short and often sarcastic. He prefers light conversation, comedy over drama. In over two years, I’ve never had a serious conversation with him beyond the interview I’m about to describe. But we’ve had many laughs and fun experiences together for which I’m grateful. Bret drove two hours out of his way to meet me at my home for this interview. Typical of his generosity, he’s the kind of guy who pulls off the highway to change a stranded motorist’s tire, and then drives off before they can thank him. I had only met Bret two times prior, so it was awkward when he first arrived. Just the same, Bret has a way of making you feel comfortable in an instant. He barely got through my door before we were talking like high school pals. I wanted the interview to be casual, just two blokes talking over a couple beers. I thought my home was too territorial and wanted some place more neutral. I took Bret to my favorite Irish restaurant named O’Connors in Worcester, Massachusetts. We staked out a table in the bar and ordered a couple pints of stout. The tension we both felt regarding the upcoming interview faded with every swig of the first pint. By the time we signaled the bartender for the second, the dialogue was more relaxed. I knew it was time to start the interview. In a nutshell, Bret believes in spirit communication, he’s just not interested in it. When he initially learned that Vicki had experiences that were atypical of most people, Bret didn’t want to think about it. I suspect he would have preferred Vicki never talk about spirits or ghosts again, hiding it from his relatives, friends, neighbors and coworkers. Unlikely outcome. Even when he had his own experiences that were undeniable—like smelling the pungent aroma of Vicki’s sister Heather’s perfume in his bedroom after she had died in a car accident—he didn’t want to talk about it. “Oh, that’s not her perfume,” he said to Vicki. Still, he told me that he smelled the perfume but found it unsettling to talk about. So, Bret never gave Vicki’s unusual “stories” much thought because he wouldn’t let himself go there. “Out of mind, out of sight” would be his motto if he had one. It wasn’t until Vicki, Melissa and I did a radio show in Worcester, Massachusetts that Bret first witnessed his wife use her gift. 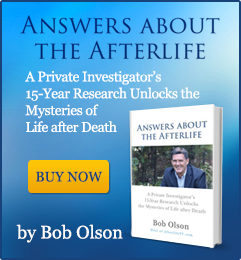 He occasionally saw Vicki talking to friends and relatives at the house about their spirit-guides, but he never paid attention to their conversations. This night, though, Bret was present to hear his childhood sweetheart blow some minds—his included. He and Vicki’s mother, Nancy, were sitting in the hallway of the radio station watching the show through the large studio window, and listening to it over the intercom. Who can blame the guy? After he mentioned those two scenarios, I started to worry myself. So let me make it clear right now; Vicki’s gift does not come from evil. In the years that I have known her, I haven’t seen anything but mountains of love emanate from this woman. From the way she treats animals, and the way they magically respond to her, to the love she shows complete strangers such as clients or radio show callers, Vicki treats everyone like a close family member. As far as controlling the future is concerned, Vicki doesn’t have any control or influence over it. When asked what one can do about changing future predictions, Vicki always says the same thing: Freewill allows us a certain amount of control. For instance, we can decrease our chances of getting lung cancer by quitting smoking. And we can improve our health by exercising and eating right. But if something is truly meant to happen, it will happen regardless of what we do. Vicki cannot possibly affect anyone’s future no matter how hard she tries. Changing the future is not part of her gift. She is not a witch or magician; she just relays the messages that spirits communicate to her. 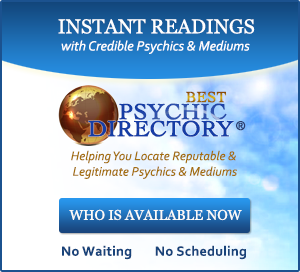 There are other issues that accompany the privilege of being married to a psychic medium. One day, while Vicki went with Bret on a business trip to Florida, she found herself in a compromising situation. She and Bret were having dinner at a restaurant with a married couple who both worked for Bret’s company. Bret and the husband, Pat, left the table to do something, leaving Vicki alone at the table with the wife, named Allie. During conversation, Vicki was seeing Allie’s spirits. These spirits wanted Vicki to give Allie some messages, so Vicki did what she felt compelled to do. Bret later learned that Vicki gave Allie an informal reading at the restaurant. Since Allie hadn’t known anything about Vicki’s gift prior to this dinner, I asked Bret, “Do you think it was inappropriate for Vicki to approach Allie with messages from the spirit world?” Bret wasn’t upset about what happened because Allie was open to the information and appreciative of it. But he did think it was inappropriate for Vicki to initiate the reading during a business engagement. The other side of the issue is that Vicki was getting a message from Allie’s spirits to commence the conversation and relay important information to Allie. Vicki found herself in a dilemma. This is an interesting story because I believe there are many of us who think we would love to have Vicki’s gift, yet we fail to understand the compromising issues that accompany this responsibility. 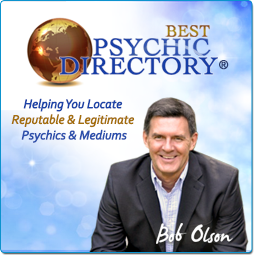 One famed psychic medium I know uses a pen name to protect relatives who could be negatively affected by being associated with a psychic medium. “Who am I to make that decision for my relatives?” this psychic medium explained to me. Of course, there are a multitude of tangled decisions one is confronted with when bestowed with such a gift, and changing your name only solves a few of them. I never asked, but I believe that Bret would have encouraged Vicki to use a pen name if they had thought of the idea before she went public with her service. Early in her career, when Vicki and I would give a talk about mediumship near her hometown, I would witness her discomfort about subjecting Bret to the publicity. When I questioned what she was worried about, Vicki would say, “Bret knows a lot of people around here. He owns a business here. Most of these people don’t know what I do for a living. There will be talk, and I know it makes Bret uncomfortable.” Then she would continue, “I don’t like putting him through it, but I have to be true to myself and my service to others. I know he understands.” And she was right; Bret does understand. More than three years have passed since Vicki first worried about Bret’s social implications due to her career choice. Bret has since become used to it. If anyone he knows isn’t aware of Vicki’s gift by now, they’ve spent too much time surfing on the Maine beaches. She’s gained quite a following on her radio show and her talents have been featured in The Boston Globe, Spirit of Change magazine, the Portland Press Herald, among other notable magazines and newspapers across the country—the list grows larger constantly. She is also posted across the Internet, including OfSpirit.com. Plus she offers workshops and lectures several times a year where thousands of people get to see her in action. Even harder for me to believe, Vicki will soon have her own television show. The interview with Bret ended by talking about ghosts. I had heard some ghost stories that took place at Vicki and Bret's home, mostly revealed by Vicki, but also from her children. I asked Bret if he shared these same experiences. “Nothing. I haven’t heard or seen anything!” he said. “It’s just too hard for me to believe. I’m kind of the scientific type. I’ll always find a reason for what they see or hear.” Still, he doesn’t doubt what his wife or kids have claimed to witness as ghost sightings. Once again, he just doesn’t allow himself to go there. Once, after Melissa and I had moved to Maine, Bret and Vicki met us to eyeball our new digs before going out to dinner at a nearby restaurant. After the tour, we were joking around—it’s always a hoot being around those two—when the conversation moved to our cat. Max has been noted by more than one psychic medium to be a psychic cat; he, too, sees spirits (not unusual with cats and dogs). This particular evening, Max was showing off for Vicki. He was probably pleased that someone else was seeing the same things he could see. He was looking around the room from one side to the other like he was watching people walk by him. He does this often. According to Vicki, he was watching people move around the living room. The house, built in the 1850s, had a few invisible tenants who shared the space with us. To everyone’s amazement, Max began to swirl his head around like he was watching a bug fly in circles. What began as amusing now began to get weird. Melissa, Vicki, Bret and I were locked on this scene, waiting to see when Max’s head would stop circling. It didn’t. Suddenly, Bret jumped from his chair. “Let’s go, I’m hungry,” he said. His burst of movement startled Max, sending him upstairs like he had a bee on his tail. The rest of us started laughing, knowing Bret had seen all he could stand to witness for one spooky night. However disinterested he is in the paranormal, Bret has been inspiringly supportive of Vicki’s career. In addition to driving two hours out of his way for this interview, he attended her first radio show requiring a three-hour drive—each way. As the radio gigs began to line up, Bret made several more trips from Maine to Massachusetts whenever possible. If his own work prevented him from going, or he needed to stay home with the children, he sometimes stayed up until two-in-the-morning listening to the radio and rooting for Vicki to have clarity and confidence. He also invested buckets of sweat and coins in getting her office built and furnished. The completed project is Vicki’s sanctity. And once, in a romantic gesture few men will ever match, Bret surprised Vicki with an antique sofa and chair that added class and comfort to her waiting area. 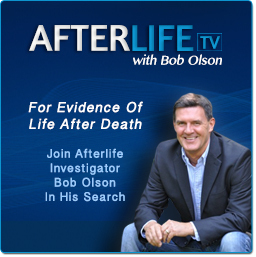 Two years after my interview with Bret, Vicki began giving live psychic medium demonstrations. To this day, Bret hasn’t missed one. At every demonstration, Bret is there coordinating behind the scenes and sharing in Vicki’s enjoyment—sometimes he even speaks at them. Of course, he makes sure to have plenty of security at each event to ease his fears. You can see his eyes sparkle with pride for his bride as he watches Vicki perform. If he still has any remaining discomfort about what other people think of Vicki’s calling, you’d never recognize it in his actions or his words. For a man who has no interest or desire in the subject of his wife’s work, he is unquestionably her most loyal fan and supporter. When my initial interview with Bret was over, I marveled at the perfection of Vicki and Bret’s relationship. His indifference to her talents surely instills a sense of balance in her life. To Bret, she isn’t some spiritually enlightened guru. She is Vicki, the girl with whom he fell in love. He knows her as the person who has faults, struggles and insecurities like every other human being on this earth. And instead of seeing her career as some extraordinary accomplishment with almost celebrity status, he views it as a burden that he has learned to tolerate. It is a relationship designed with perfect balance to keep Vicki grounded. No doubt she keeps his life from being too predictable.